I didn’t think it was possible to get so excited about something as seemingly mundane as a mattress being delivered. But I was seriously giddy. Perhaps it was because it had been sooooo long since the last time a mattress had made a grand entrance up the stairs or because my aching back saw potential relief. But this week when my Perfect Sleeper arrived, I felt like it should have been a national holiday. Like I mentioned in my first post, Serta® is the only official mattress of the National Sleep Foundation, designed to help solve 5 common sleep problems. I was eager to see if it would help me with these issues! We decided on the Plush Memory Foam mattress after testing out a few models. The “plush” just means it has an extra layer of PillowSoft® foam on top. All of the memory foam mattresses use the Cool Action™ Gel memory foam – which is great for hot sleepers like me! We chose a regular flat foundation, but they make adjustable foundations that are compatible with all the Perfect Sleeper mattresses. The Pivot™ model allows you to adjust the head of the mattress, and The Motion Essentials™ model allows you to adjust both the head and the foot of the mattress. 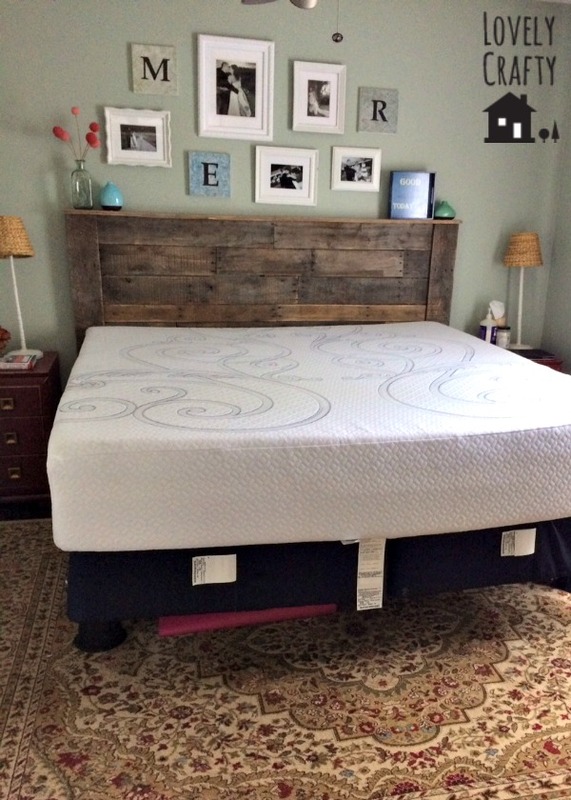 Regardless of the mattress or foundation, Serta® is one of the most affordable choices for a high quality mattress. After the first night, I noticed that I didn’t wake up with back stiffness or pain. This is HUGE people! I’m super excited about that!! The mattress is a little warmer than my old one, but not enough to bother me. After a few nights, I am totally used to the new feel. Mike is out of town, so he actually hasn’t gotten to sleep on it yet 🙁 Unfortunately I can’t speak to how well it isolates our movements during the night yet. I tend to be a little anxious/restless at night while he’s gone anyways, so I definitely expect my sleeping experience to be a bit different when he comes home. But for now, I’m very pleased with the change so far. I find that it’s very comfortable no matter what position I’m laying in – which is saying a lot because I used to not be able to stay comfortable in one position. Also I notice I don’t wake up as much because my arm/hand is asleep. Each night, I feel like my sleep is getting better. I can’t tell you how awesome it is to wake up without my typical stiffness and lower back pain. I’ll be posting once more in this series – after I’ve had more time to sleep on the mattress – so I can give a true review. I can’t wait for Mike to try it as well. So far, I’m giving the Plush Memory Foam Perfect Sleeper two enthusiastic thumbs up! 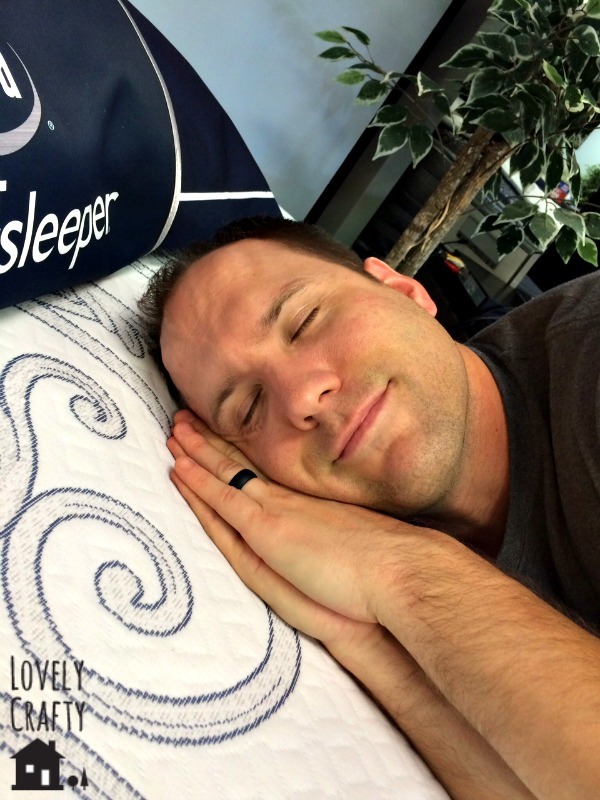 This is a sponsored post written by me on behalf of Serta for IZEA. All opinions are 100% mine.